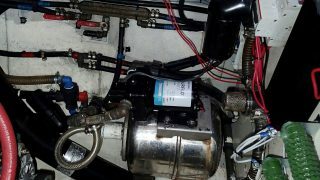 Destiny is a Privilege 435 built in 2003, featuring new Volvo Penta engines, water maker, batteries and wind generator that have only just been fitted. 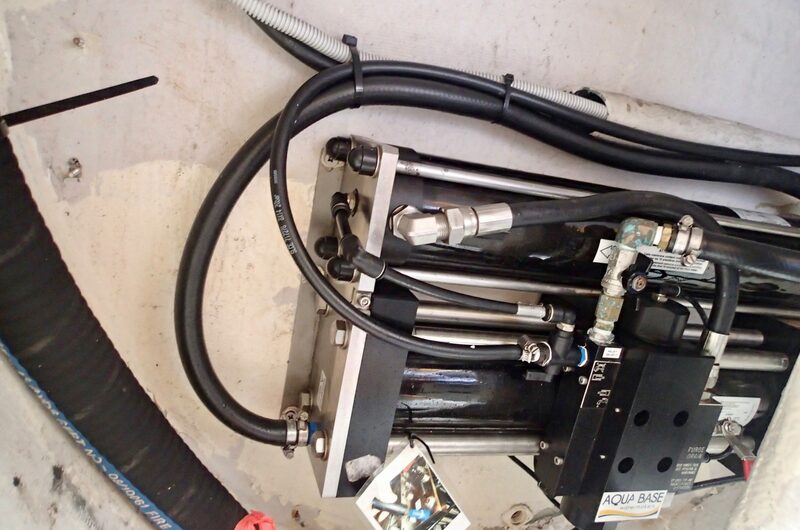 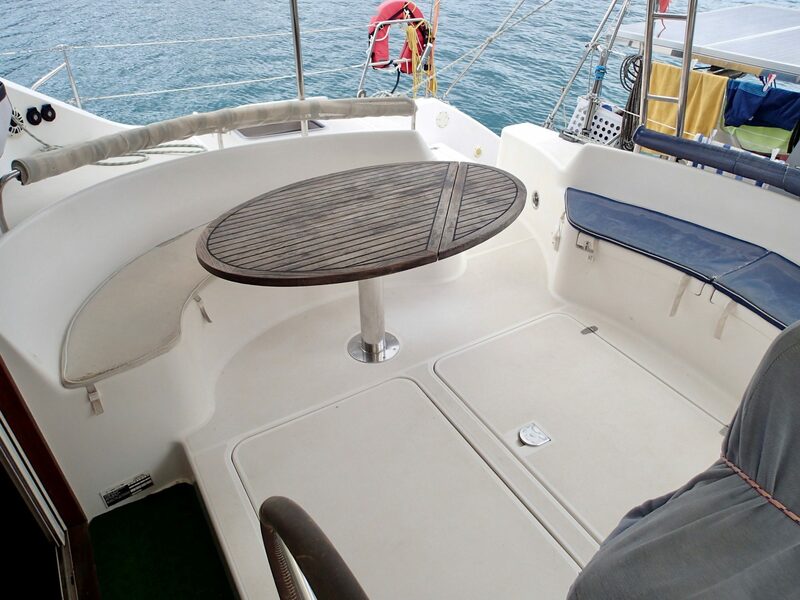 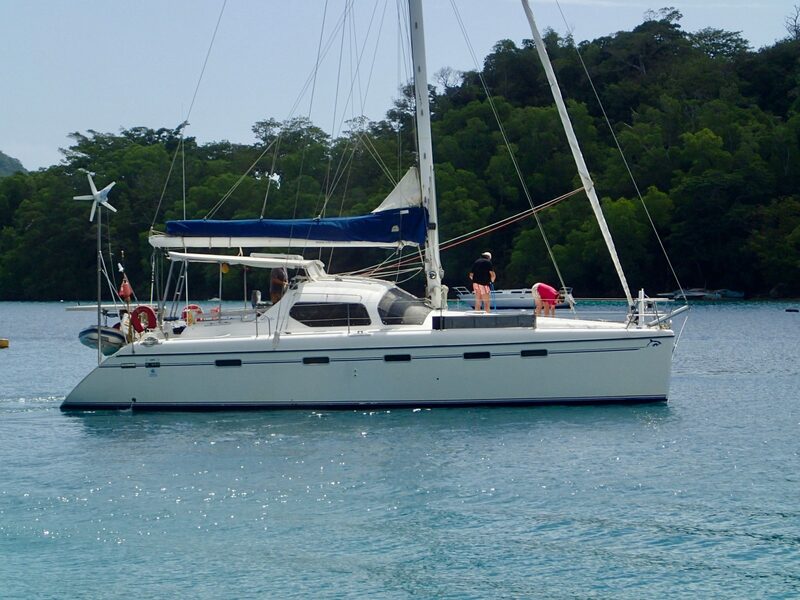 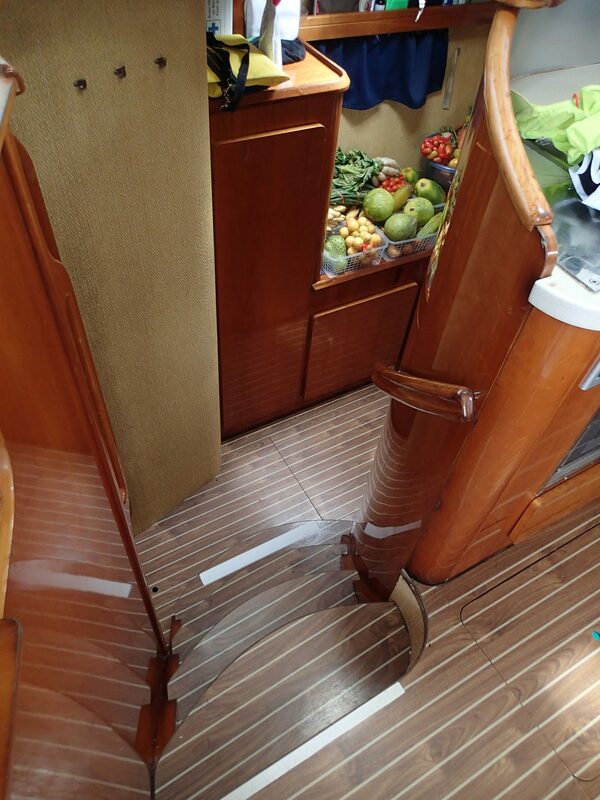 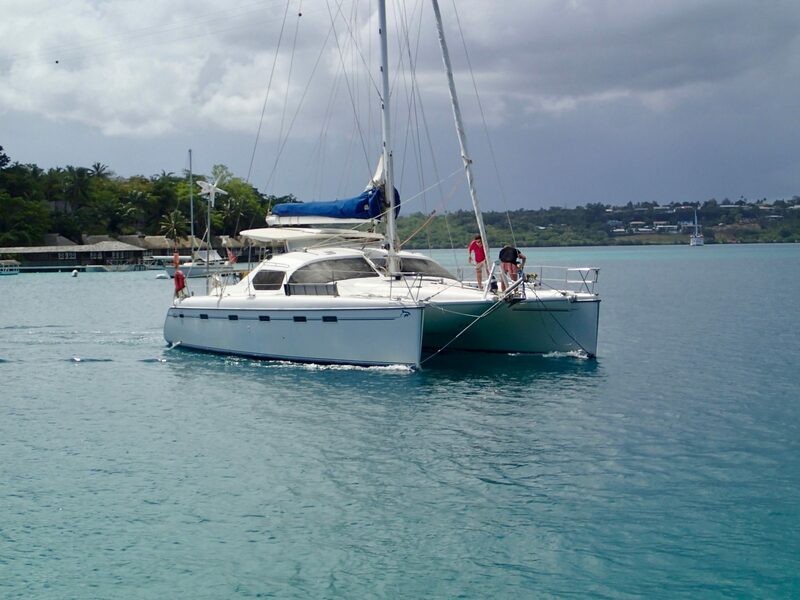 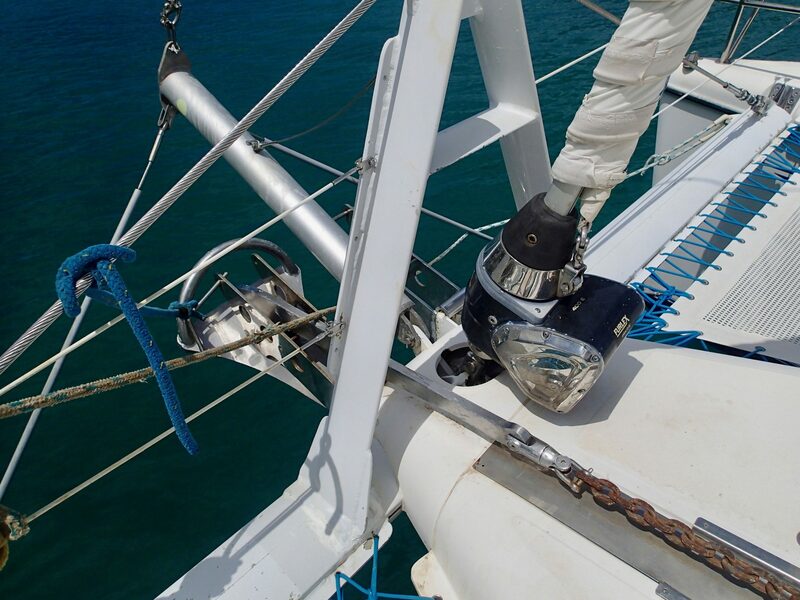 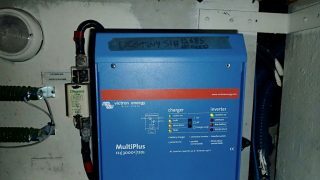 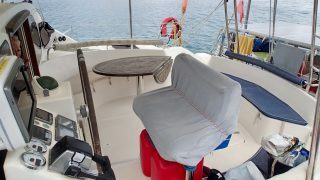 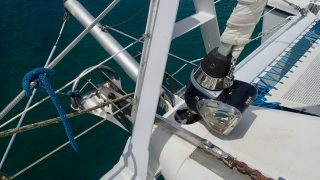 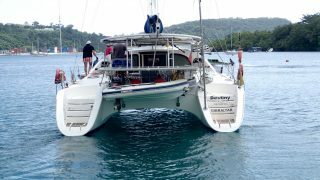 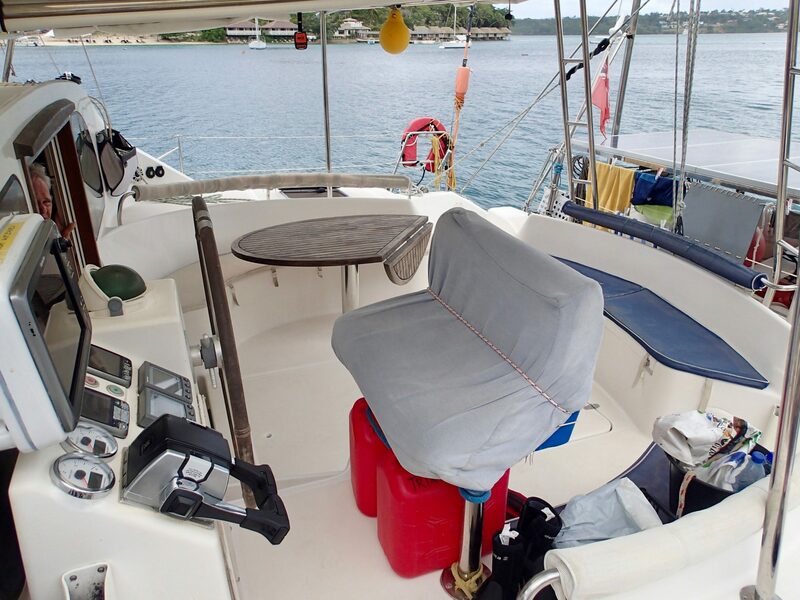 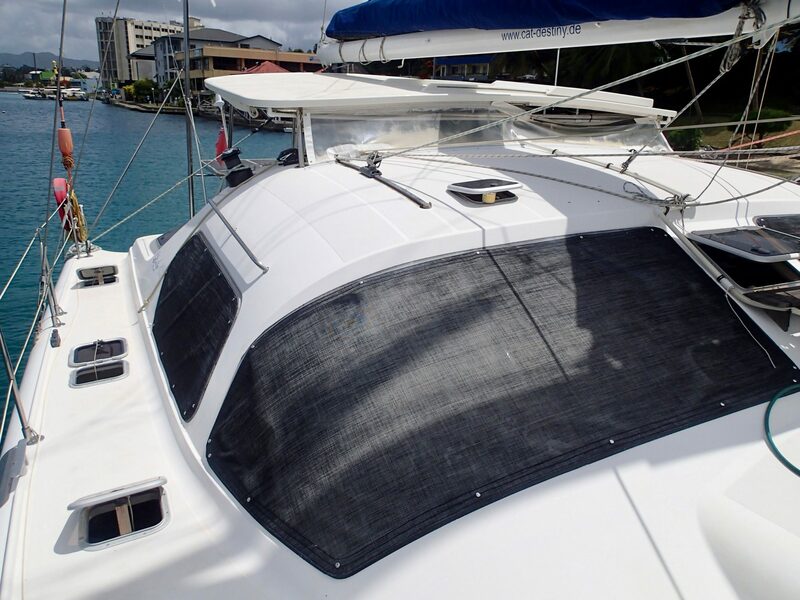 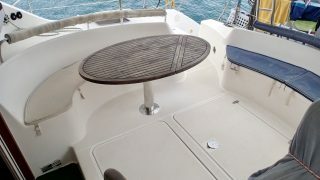 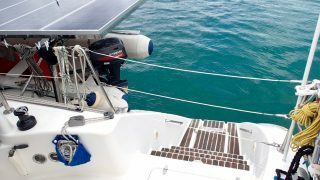 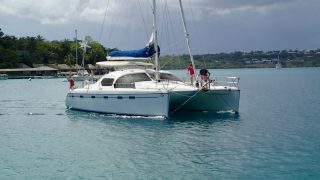 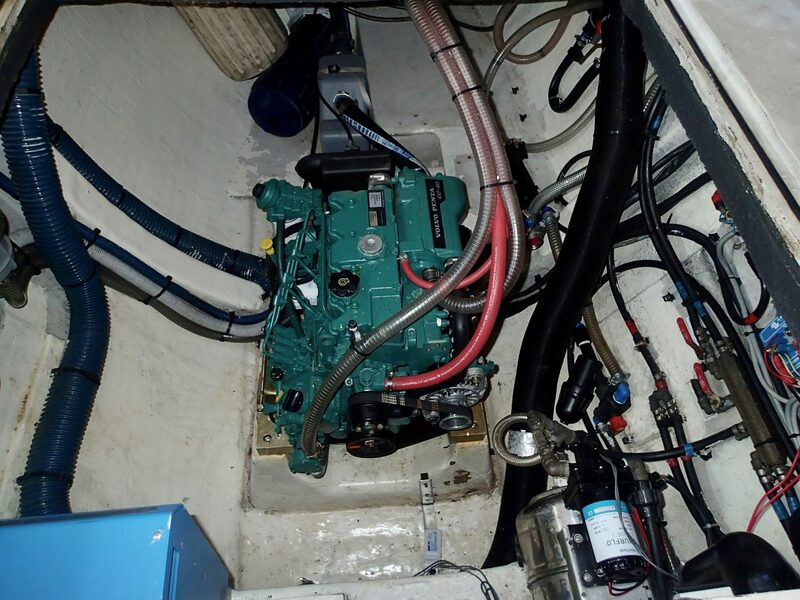 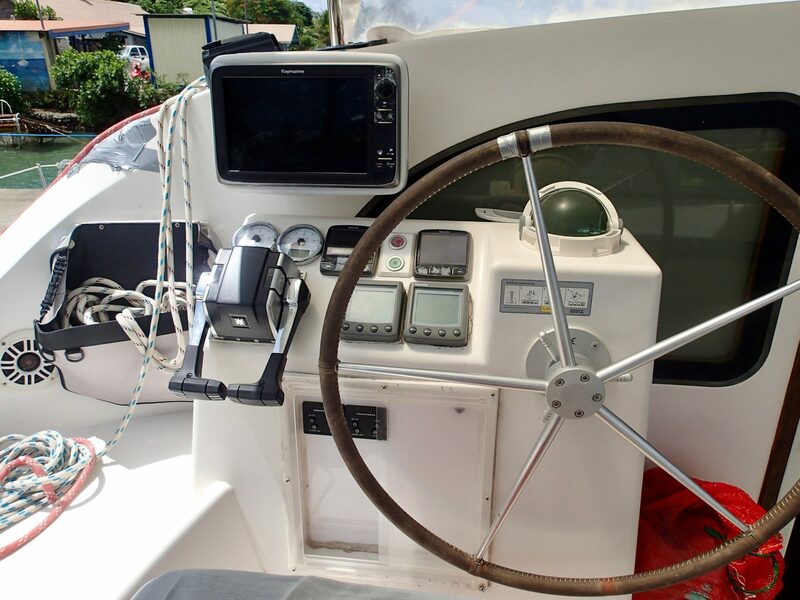 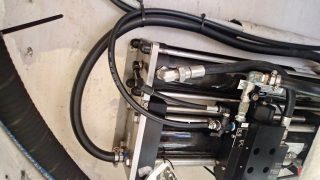 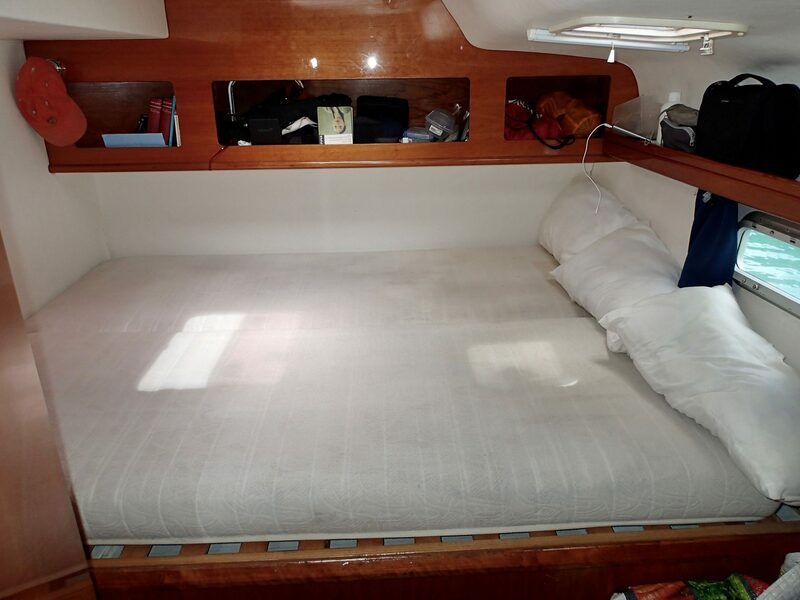 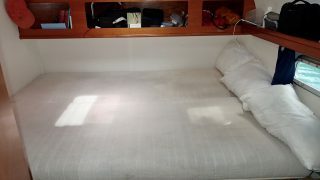 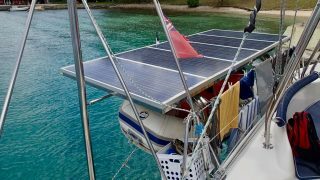 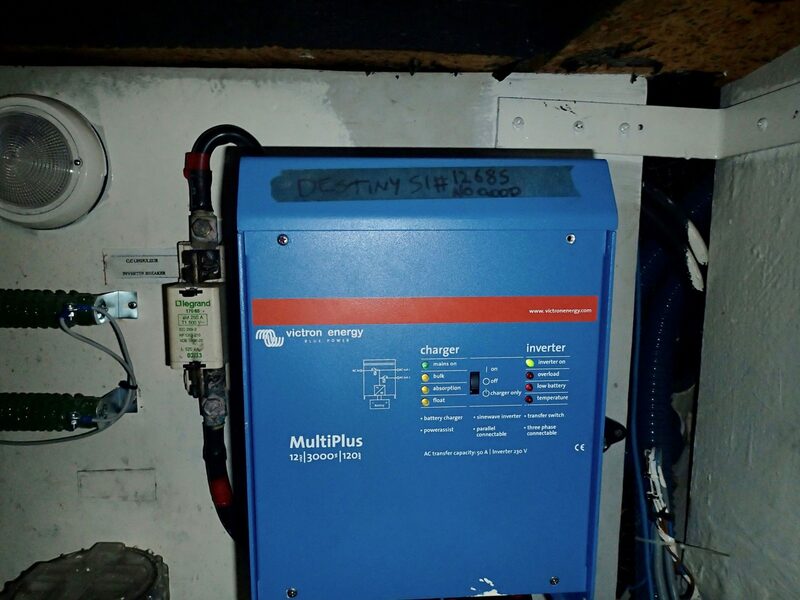 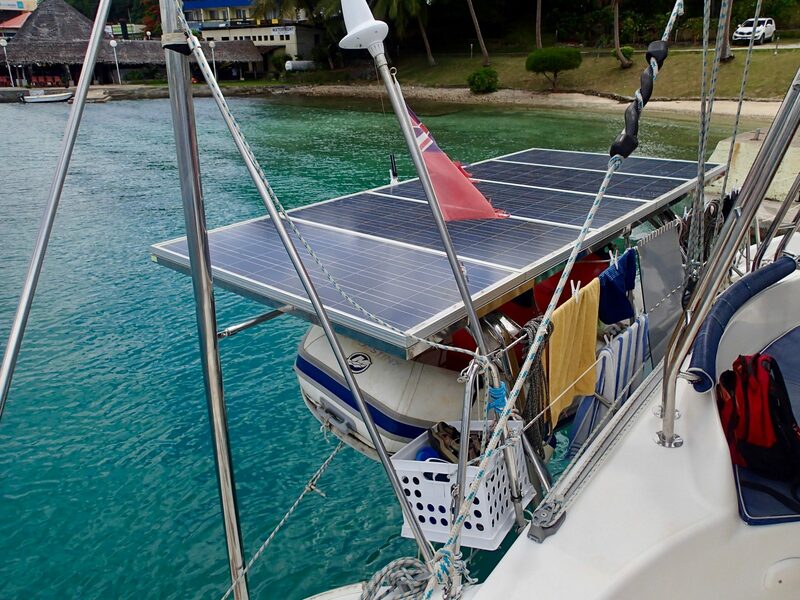 Her whole rig was replaced including full sail wardrobe in 2015, making this an excellent purchase for those looking for a dependable and capable blue-water cruising catamaran. 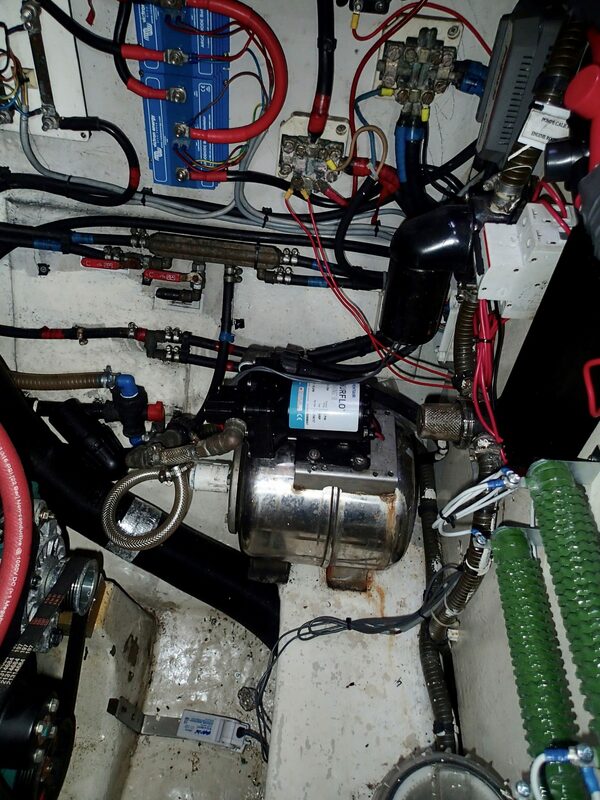 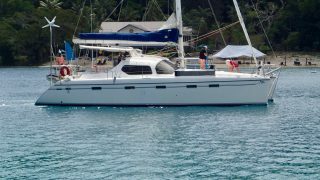 This Privilege 435 was usually stored out of the water for six months while her current owners travelled home to Europe. 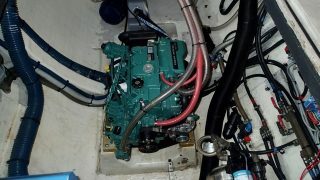 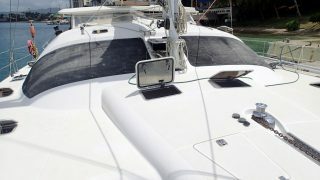 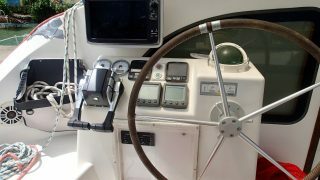 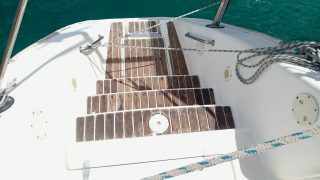 She has been professionally maintained and having benefitted from continuous little refits, she really is trouble free. 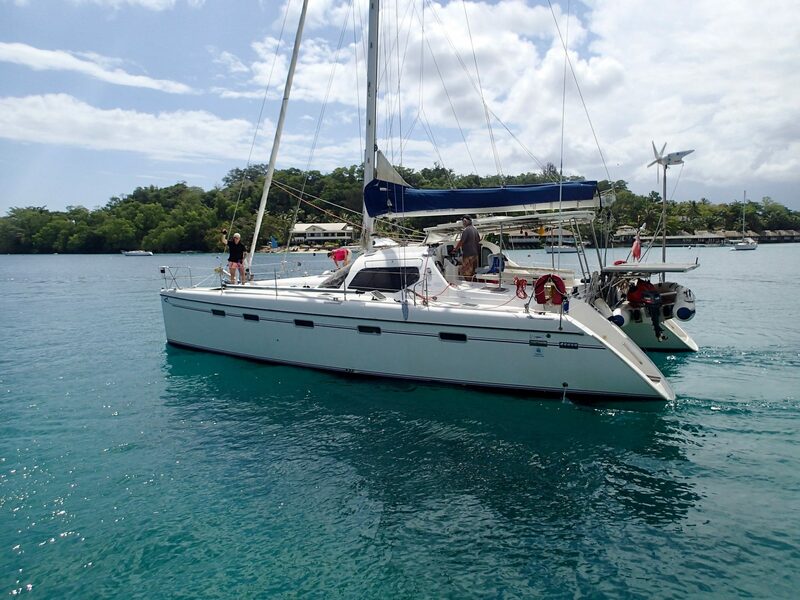 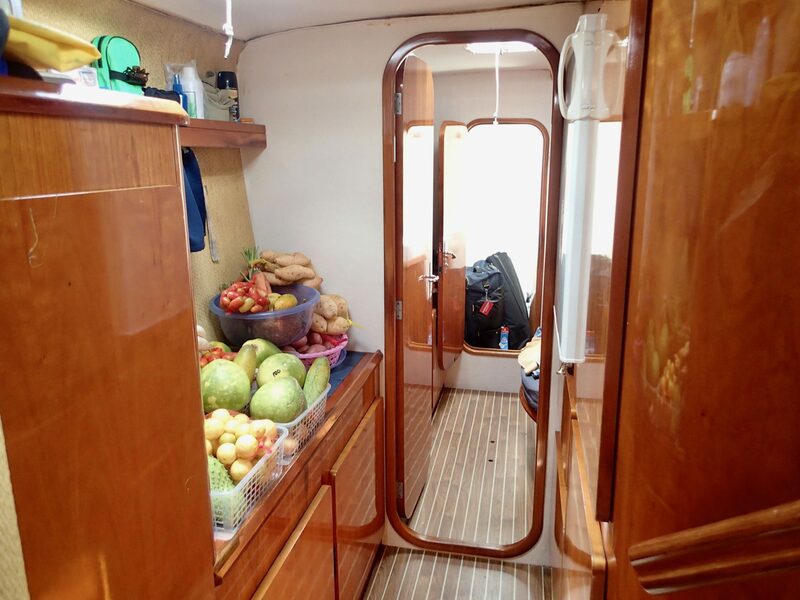 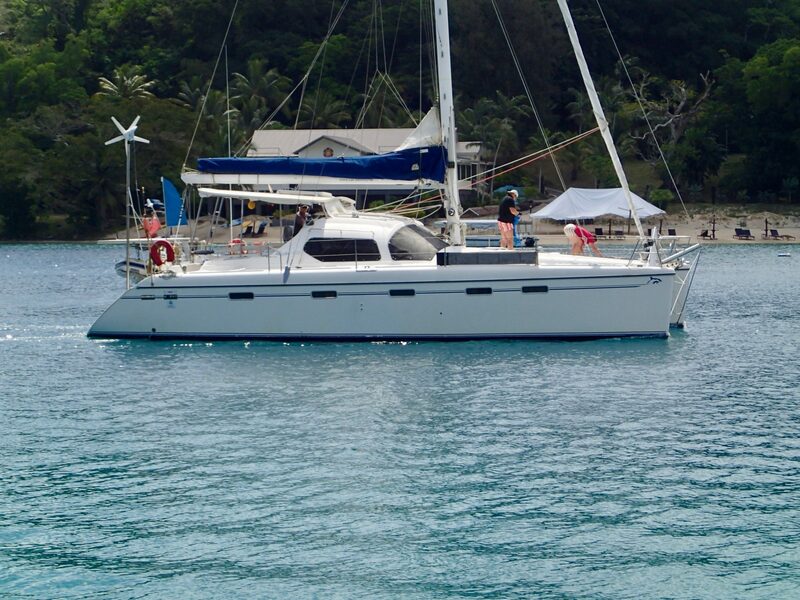 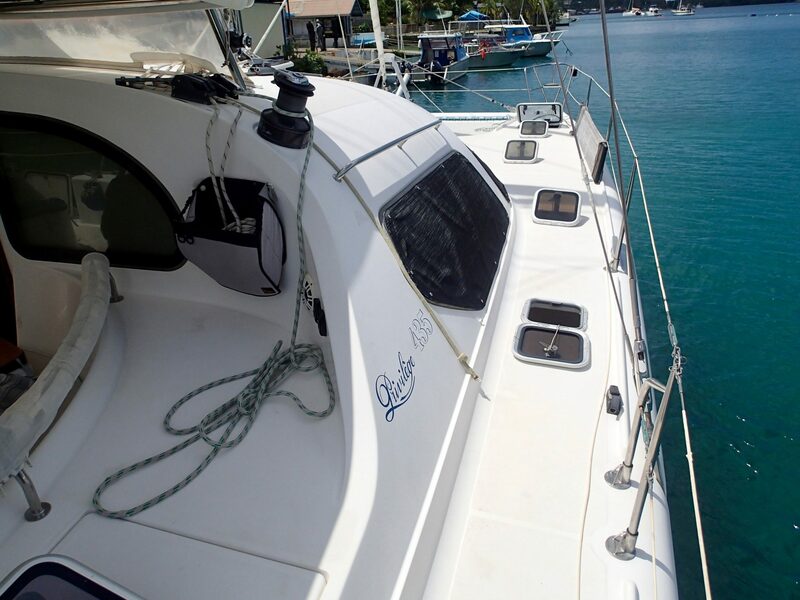 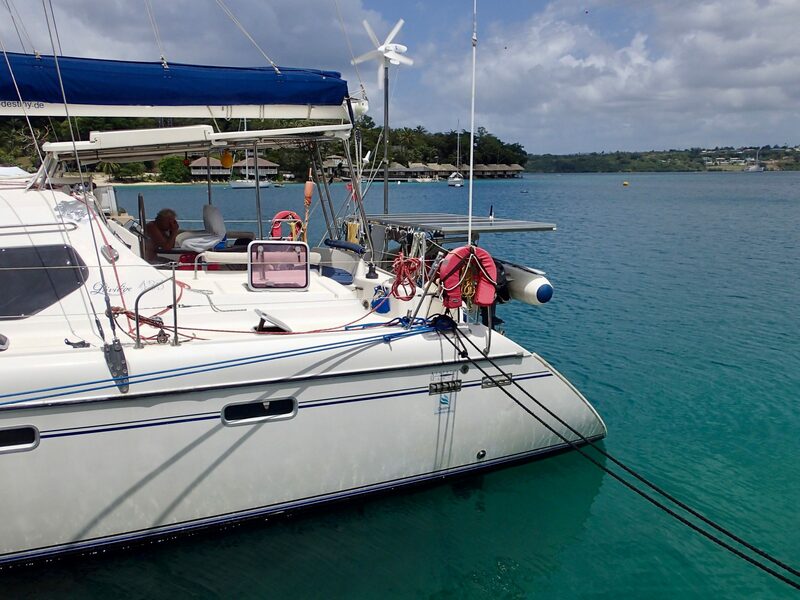 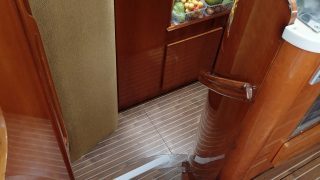 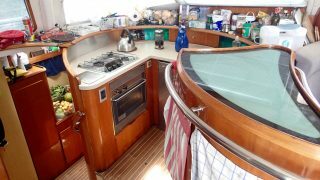 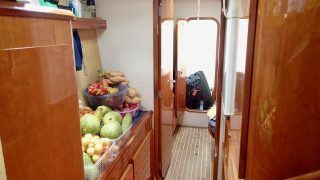 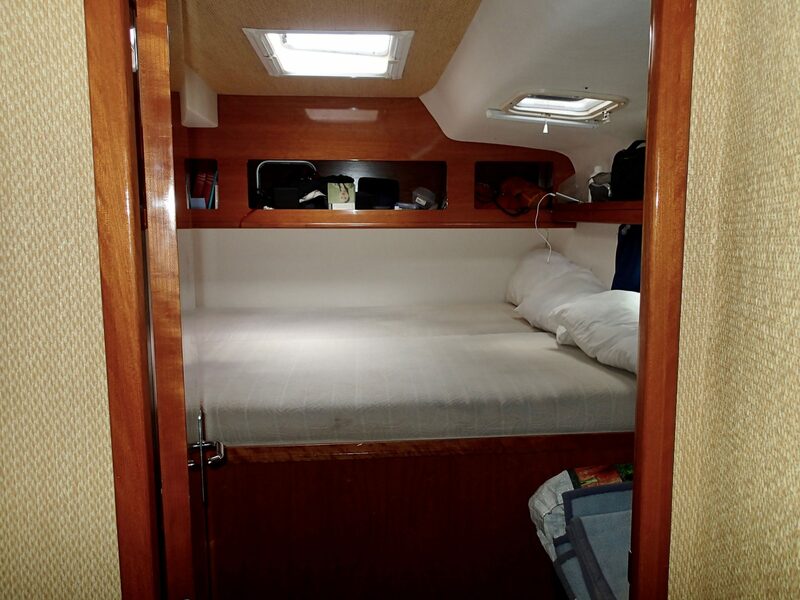 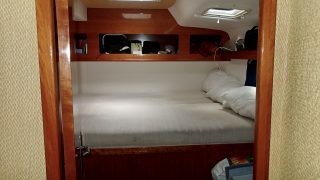 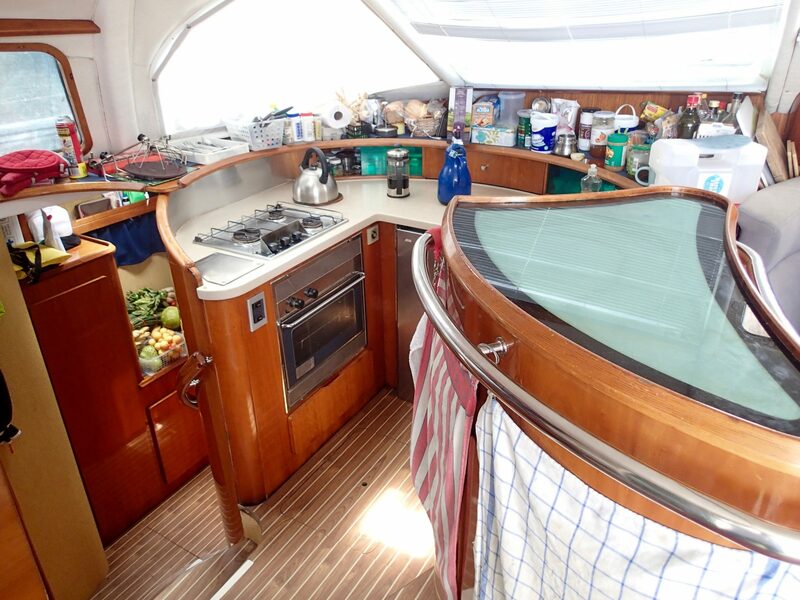 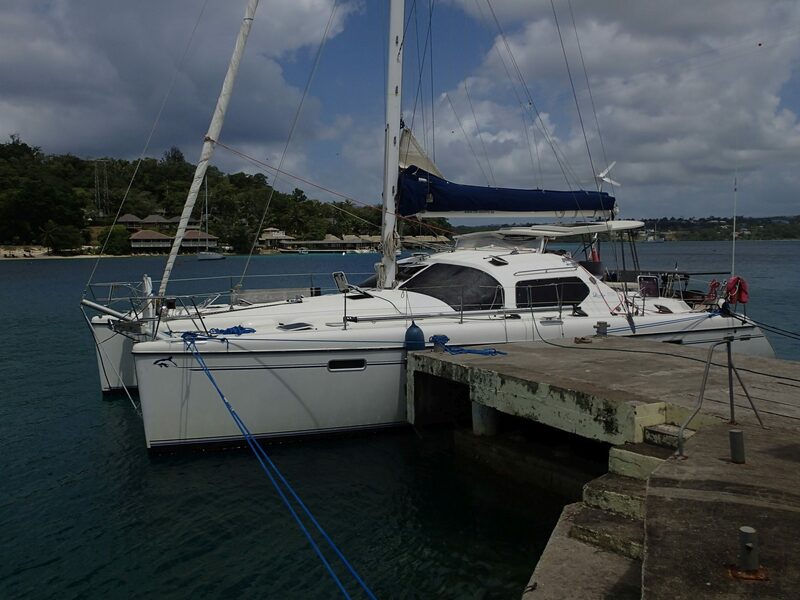 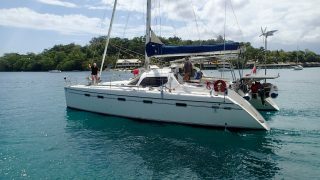 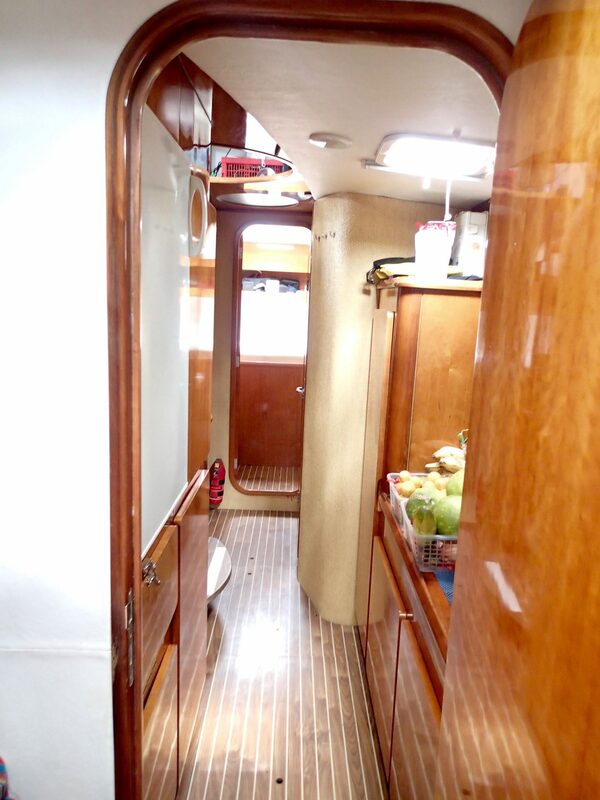 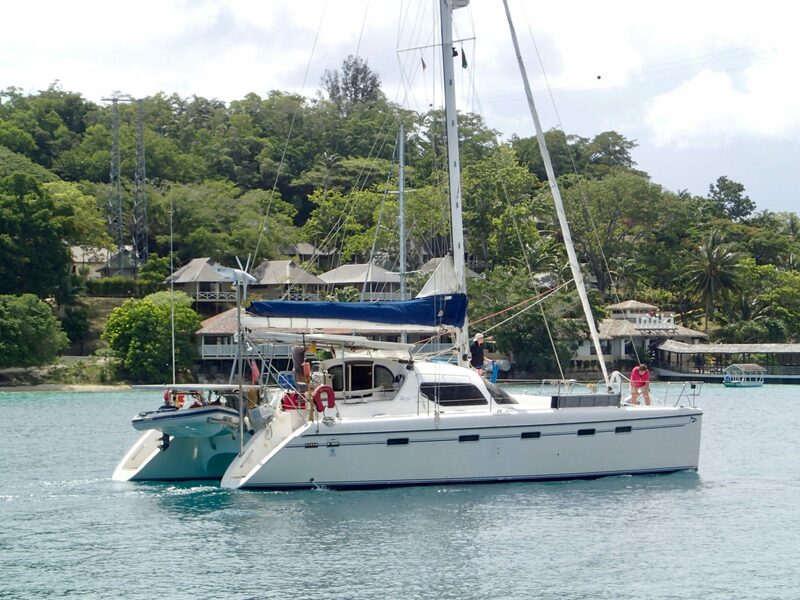 This particular 435 model is in the 4 cabin version, ideal for a family to liveaboard and sail the Pacific. 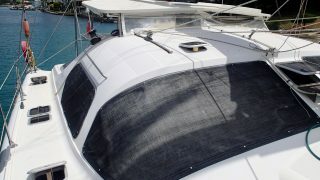 Destiny also features a hard top with rain water collection and plenty of solar panels, as per the accompanying photos. 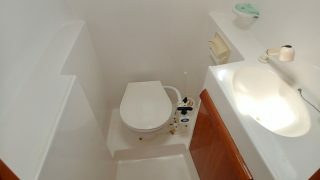 All photos were taken recently by our broker onsite. 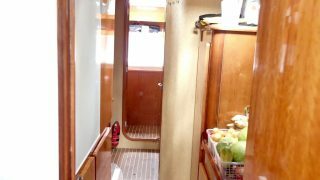 Apologies for the quality of the pics as the boat is still in cruising mode. 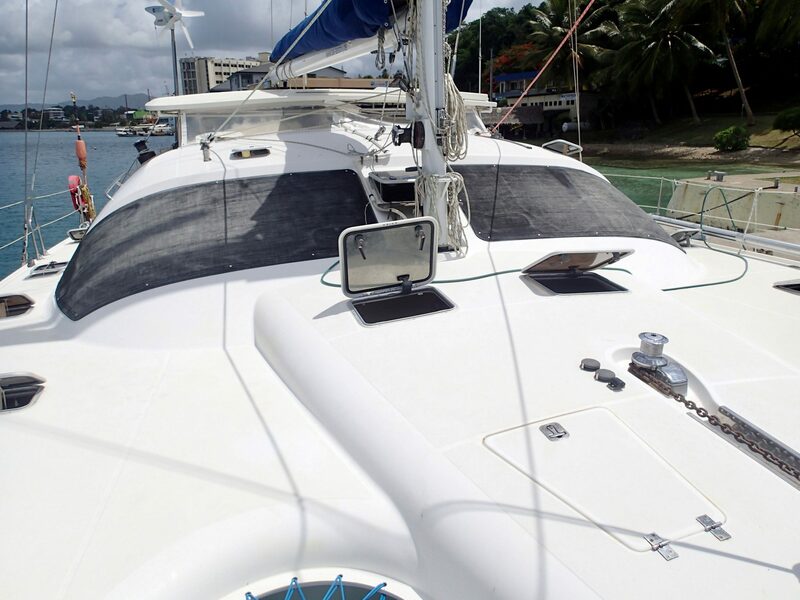 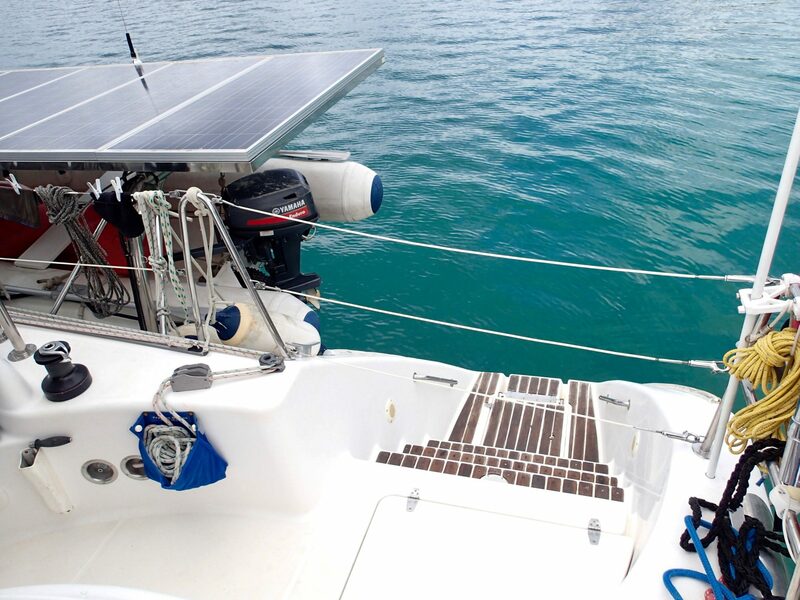 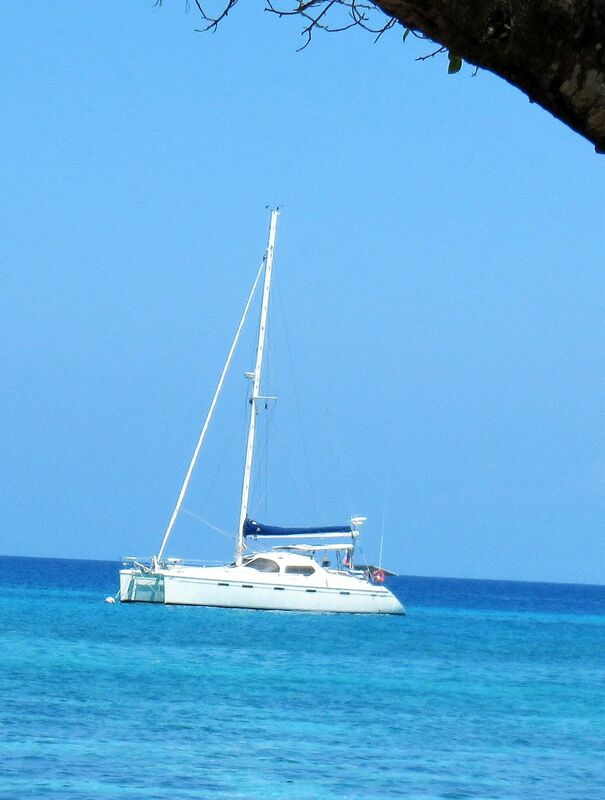 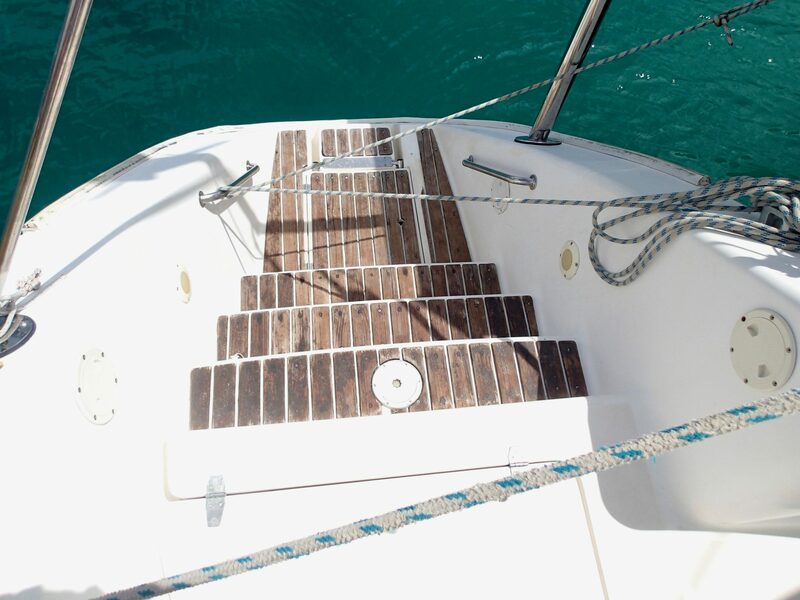 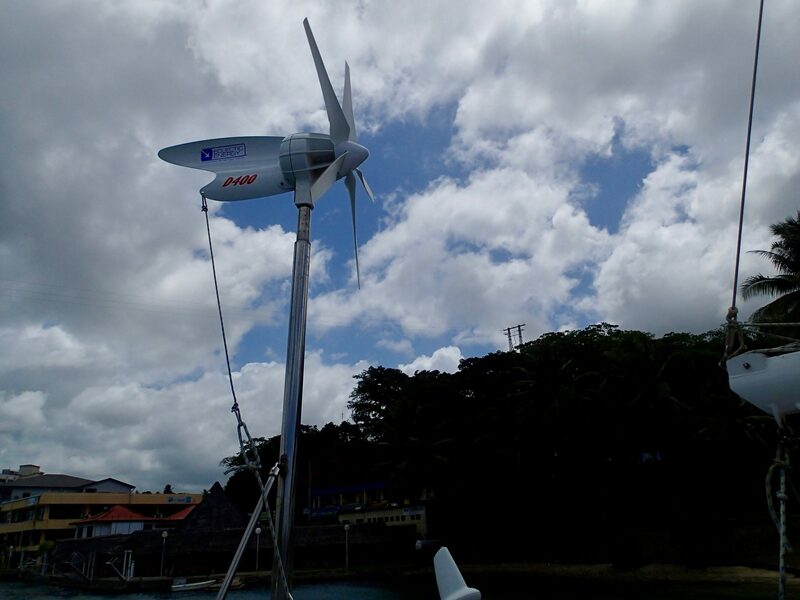 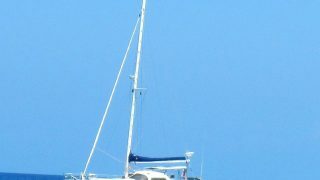 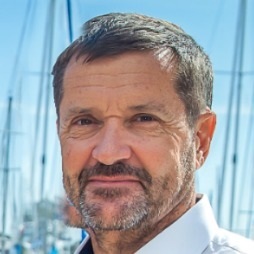 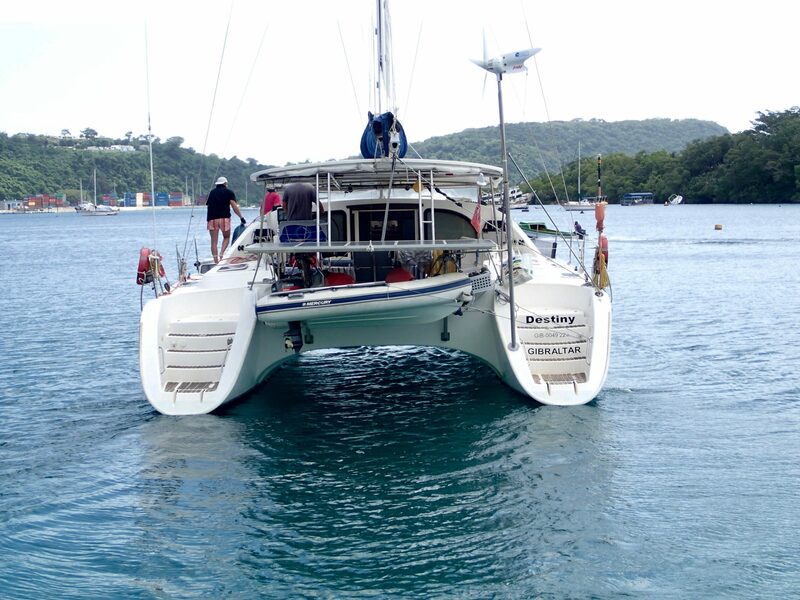 The Privilege brand is considered to be the top of the line for production catamarans, due to the quality of build and overall finish, and they have a reputation as seaworthy, reliable catamarans. 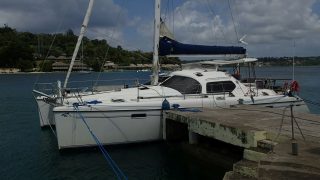 The current owner is very proud of his boat and is happy to do a proper handover once she is sold. 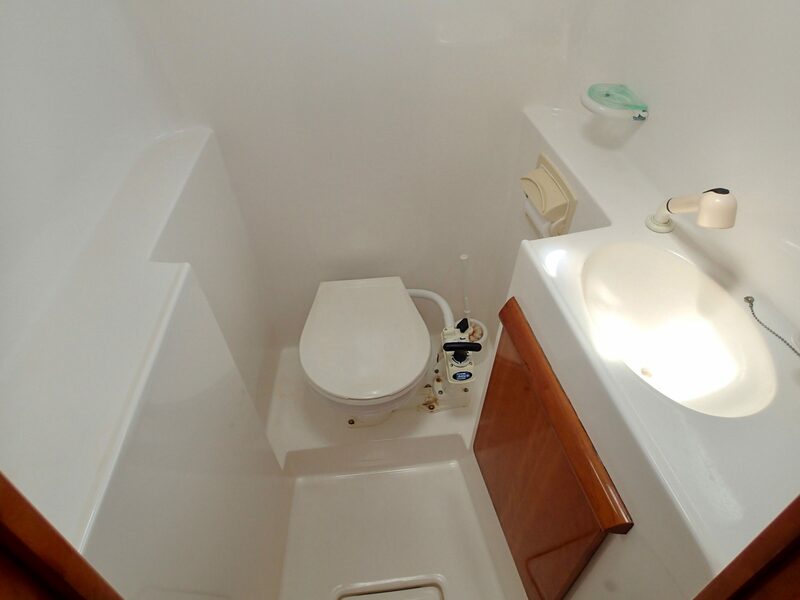 This is priceless in order to get all information necessary for a fresh start without the trials and errors. 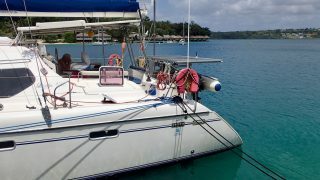 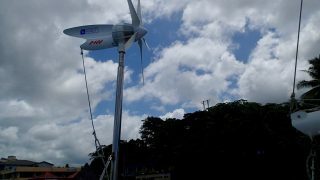 She is now lying in Vanuatu – delivery can be arranged or why not start your travels from a beautiful part of the Pacific. 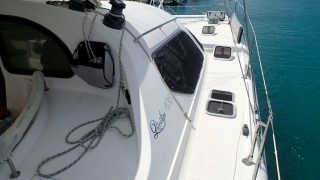 Boat is registered as a company in Gibraltar. 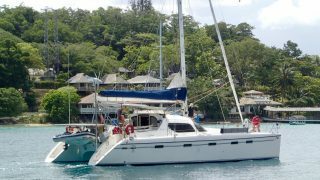 The whole scheme can be transferred to the next buyer if interested. 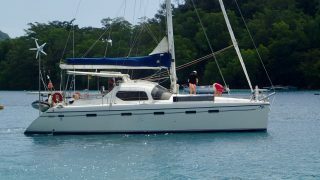 Please contact the team at Multihull Solutions for more information.